The ultimate skylight that provides abundant daylight and controllable ventilation. The solar powered skylight features a solar panel that captures available daylight to recharge a highly efficient, concealed battery powered operator and control system. • White painted interior timber frame and sash. • Outer aluminium cappings (grey). • Smooth profile sits lower in the roof, does not obstruct the roofline. • Choice of 9 sizes. 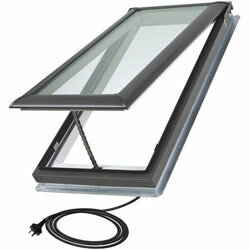 • Rain sensor automatically closes the skylight when rain is detected. 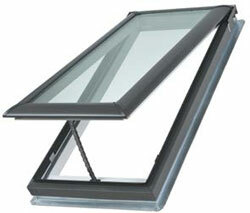 • High Performance double glazing as standard, with NEAT™ outercoating: reduces cleaning frequency. • Insect screen fitted as standard. 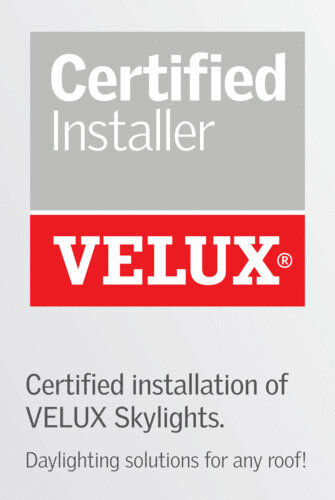 • Complete with flashings for corrugated iron or tile roofs. • Approx 80% Heat Block. • Radio frequency controller with advanced control options for both skylight and blind operation. • Home Automation Systems interface(KLF 100) available. 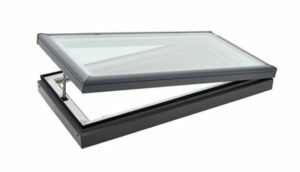 Electronically operated skylights that requires power supply. These are not solar powered. • White painted interior wood frame and sash. • Complete with pre-installed electric motor, control system & rain sensor. • Simple to install – 2 metre lead (supplied) plugs into power point. • Smooth, low profile sits lower in the roof, does not obstruct the roofline. • Choice of 9 sizes. Insect screen fitted as standard. • High Performance double glazing as standard, with NEAT™ outer coating, reduces cleaning frequency. Manually operated top-hung skylights that provide the comfort and energy savings of free daylight and natural ventilation. • Operated by winder handle for within reach situations or by rod for out of reach use, up to 285cm above head height. • Choice of High Performance glazing (with NEAT™ coating: reduces cleaning frequency) or Comfort double glazing (most sizes). 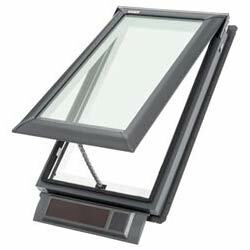 • Winder handle for operating within-reach skylights. The ultimate flat roof skylight that provides abundant daylight and controllable ventilation. Features a solar panel that captures available daylight to recharge a highly efficient, concealed battery-powered operator and control system. • Wireless installation. No electrician required. • Maintenance Free – White PVC interior frame for a tough, hard wearing interior finish. • Available in 6 sizes. • High Performance double glazing as standard, with NEAT™ outer coating: reduces cleaning frequency. • Includes removable insect screen. 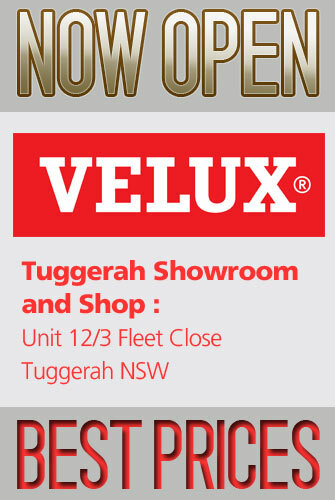 • Requires custom-made flashing (not supplied by VELUX) but we can make instore at Tuggerah. 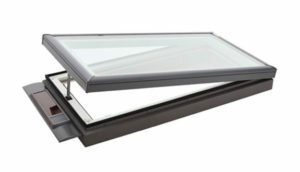 The VCM opening skylight for flat roofs is the cost effective solution for natural ventilation. The pre-installed Insect Screen adds the benefit of keeping mosquitoes and flies out in summer.